EMMERDALE EPISODES: As Kerry questions her feelings for Dan, he goes and proposes, Jacob and Maya’s domestic bliss is ruined when David comes home, and Graham’s actions have consequences for Kim. Nicola’s election campaign begins in earnest, Bear Wolf returns with a crash, and Harriet is attacked. Tues 2 April 2019: Will Kerry Wyatt except Dan Spencer’s proposal… or will she end their relationship? 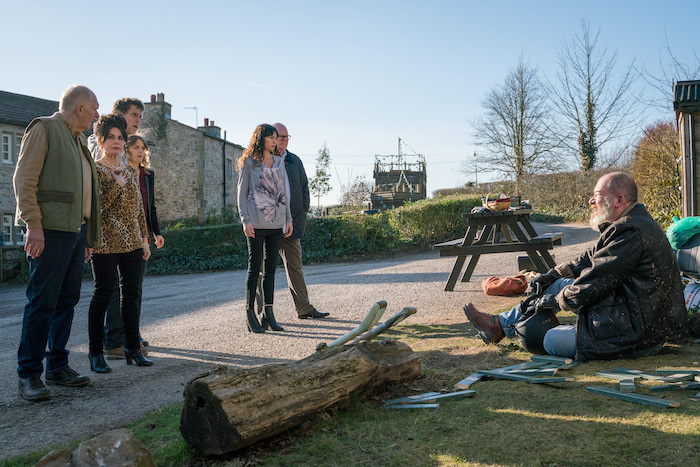 Tues 2 April 2019: Maya and Jacob’s domestic bliss is interrupted as David arrives home early. 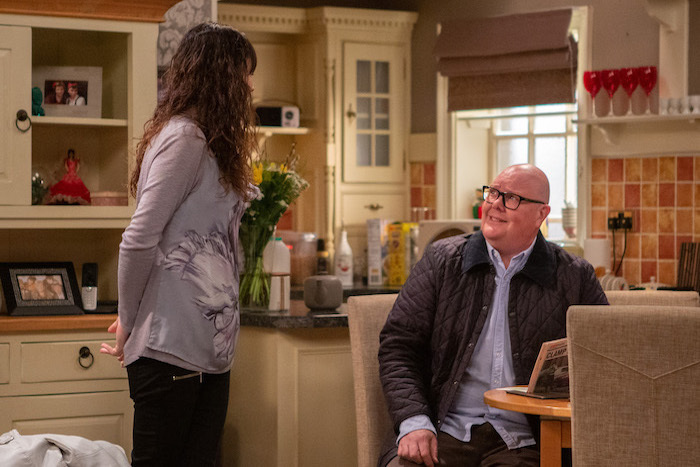 Tues 2 April 2019: Is David’s girlfriend or son pleased to see him… nope! Tues 2 April 2019: David is disappointed not to get a warmer welcome home from his family. 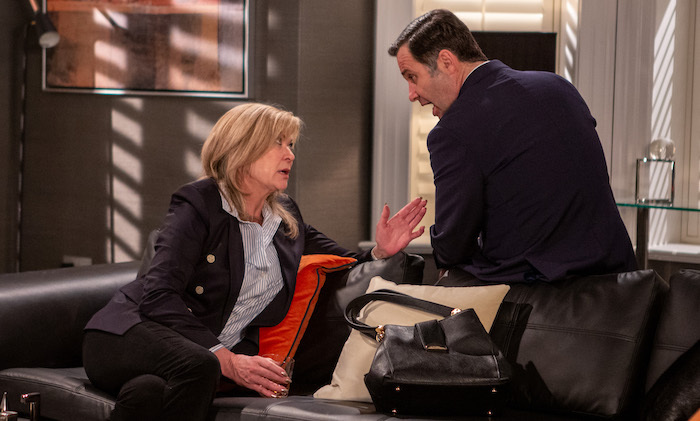 Tues 2 April 2019: Kim Tate pushes Graham too far. How will he react? Tues 2 April 2019: Graham takes action but what will be the consequences for Kim and Cain? 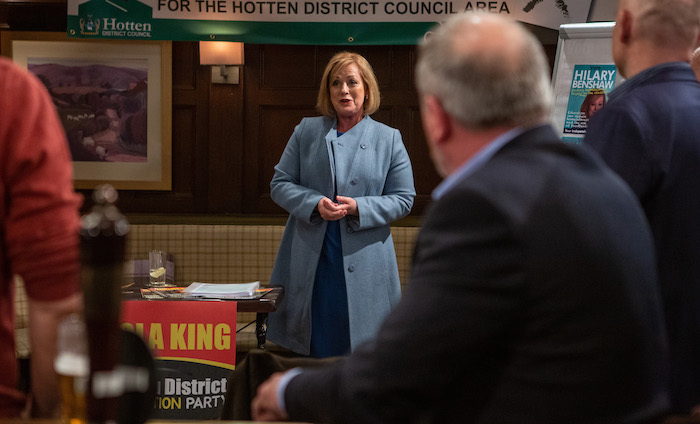 Wed 3 April 2019: Nicola King hits the campaign trail in her bid to get on the council. 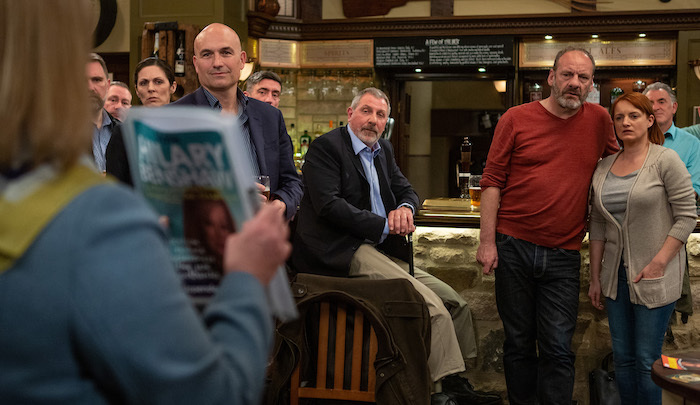 Wed 3 April 2019: Nicola’s competition in the election takes the floor – meet Hilary! Wed 3 April 2019: Hilary is a more than worthy opponent for Nicola in the election. The fight is on! 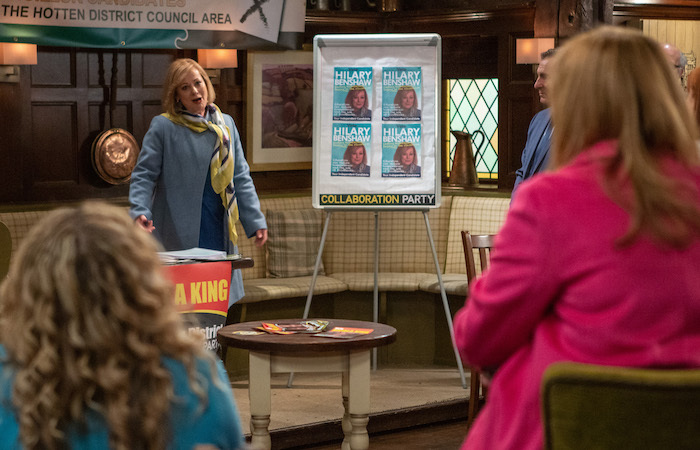 Wed 3 April 2019: Will the villagers stay loyal to Nicola when Hilary makes her voting pitch? 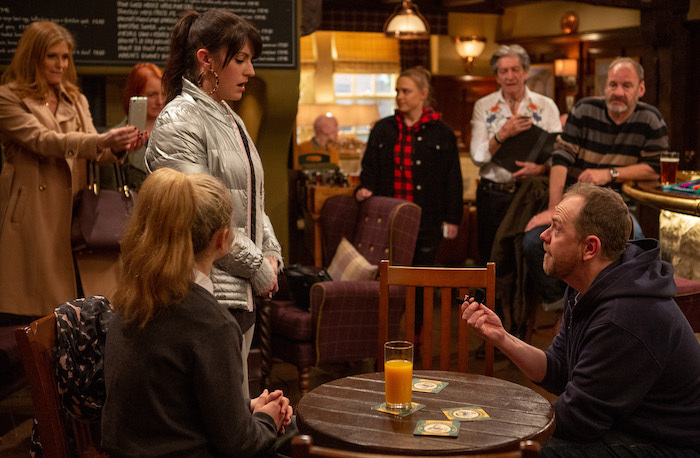 Wed 3 April 2019: Nicola tries to work her charms on the customers in the Woolpack. Wed 3 April 2019: Nicola realises she needs to up her game to take on Hilary in the election. 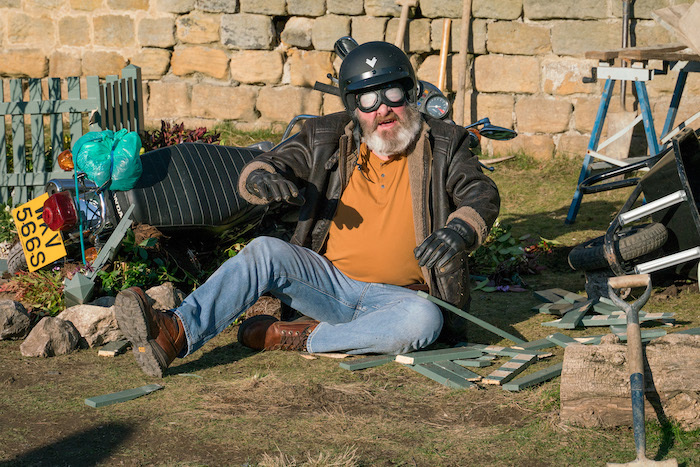 Thurs 4 April 2019 – 7pm: Bear Wolf crashes into Grace’s memorial garden. What a way to make an entrance! Thurs 4 April 2019 – 7pm: How will Chas and Paddy react to Bear’s return given the damage he’s done? 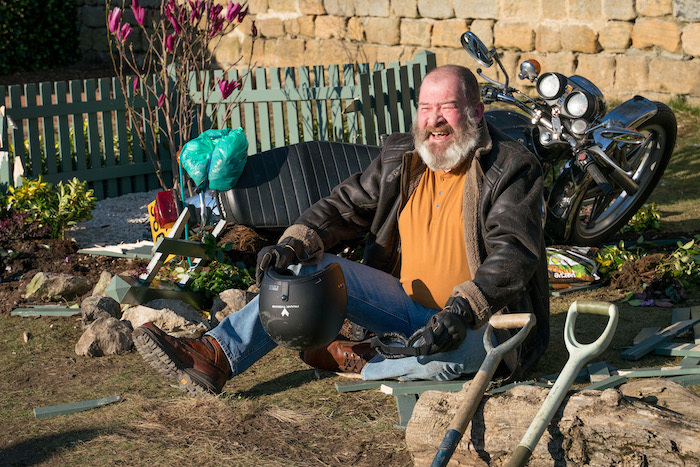 Thurs 4 April 2019 – 7pm: Chas and Paddy are shocked at Bear’s return and angry at the destruction of Grace’s garden. 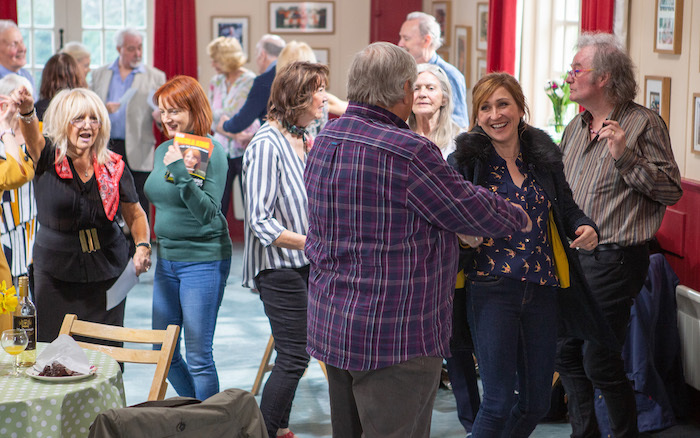 Thurs 4 April 2019 – 7pm: Can Bear charm his way back into Chas and Paddy’s good books? 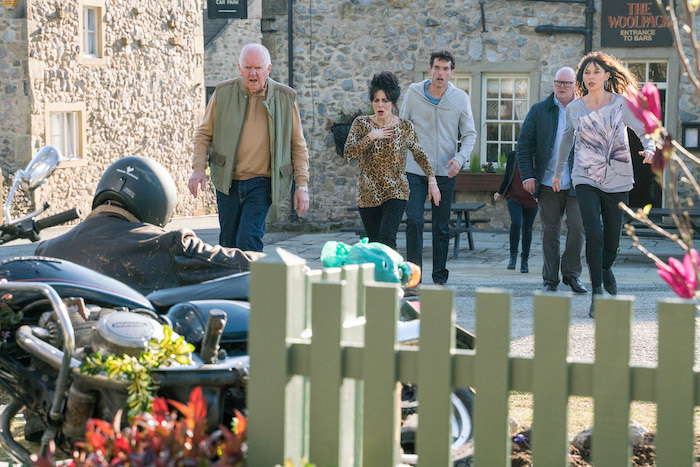 Thurs 4 April 2019 – 7pm: Chas and Paddy return from a hospital appointment – will they have cause to celebrate? Thurs 4 April 2019 – 7pm: Ryan and Aiesha develop a weird connection – is romance in the air? 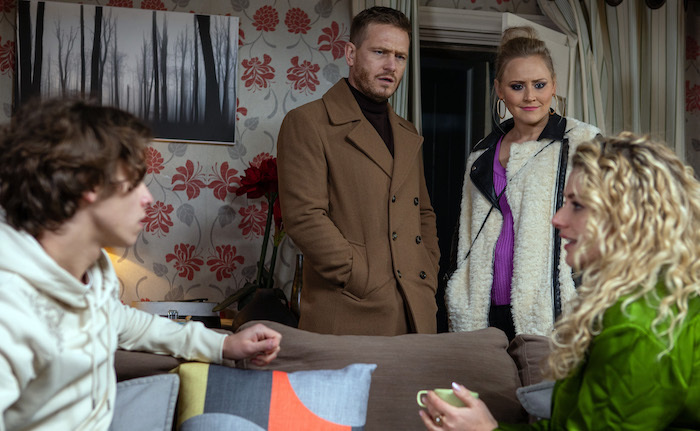 Thurs 4 April 2019 – 7pm: How will Dawn react to Ryan and Aiesha’s blossoming friendship? Thurs 4 April 2019 – 7pm: Ryan seems to like Aiesha as well it seems although we’re distracted by his white hat! 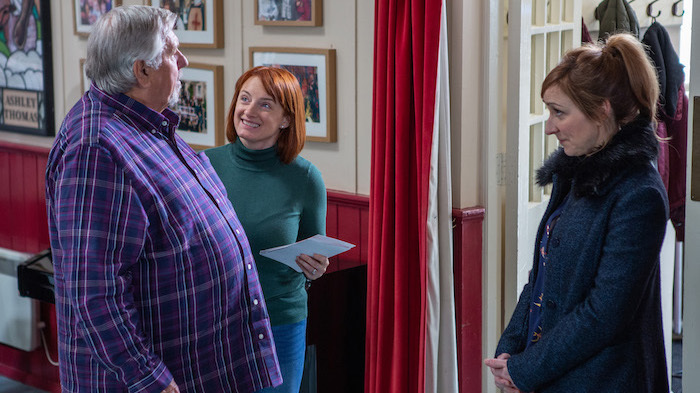 Thurs 4 April 2019 – 7pm: Laurel attends a single night at the Village Hall – is it time to move on from Bob? 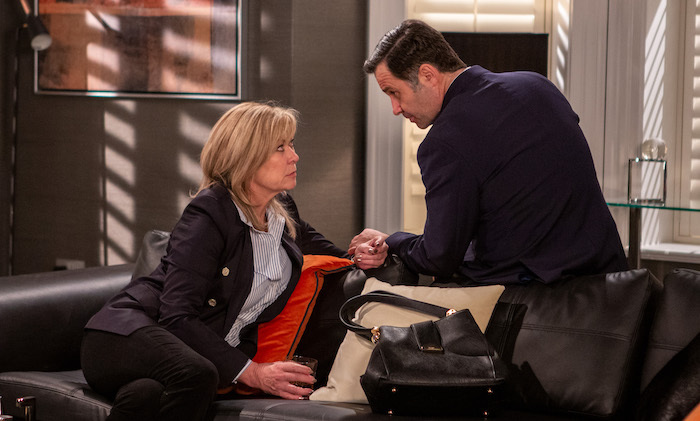 Thurs 4 April 2019 – 7pm: Will Laurel find the man of her dreams… or her nightmares? 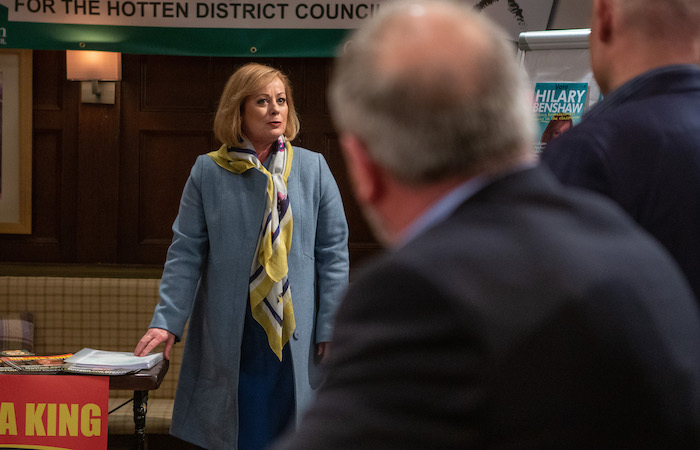 Thurs 4 April 2019 – 7pm: Regardless, Laurel throws herself into the situation. Will singles night be a hit? 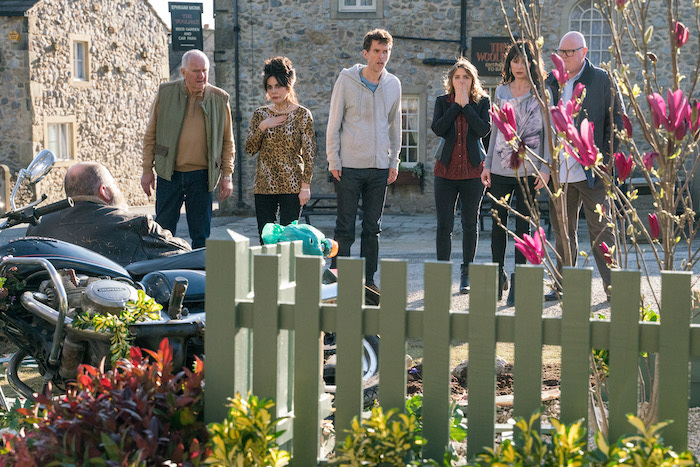 Fri 5 April 2019: Harriet is attacked in the village by a hooded figure. Fri 5 April 2019: A shaken Harriet is horrified and frightened. Who is out to get her?